With shipping, inventory management, POS solutions, and a flexible eCommerce platform; Magento Commerce Cloud was the right fit for Osprey London. Meet the luxury leather fashion company preferred by royalty. In the early 1980s, British entrepreneur Graeme Ellisdon used to drop into Kensington Palace to hand samples of his leather belts to one of his favorite customers, Princess Diana. “If there was anything she liked she would take them,” Ellisdon told the Times of London, “but all of our customers are VIPs.” Osprey London, his luxury leather, lifestyle, and retail company today boasts sales of £12 million [$16.8 million] and employs 150 people, with a global reputation for creating uniquely British, affordable luxury handbags, accessories, scarves, silk ties, clothing, and more, which they sell online. In 2016, the company set an aggressive goal of doubling its online business every year for three to five years. 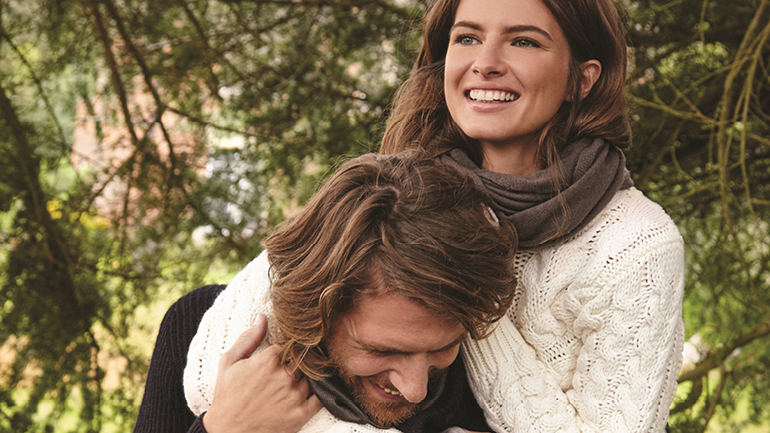 The brand’s popularity was already driven in part by its highly-anticipated catalogs, and Osprey London wanted to integrate that marketing operation into a much larger digital marketing program. However, their existing website was based on a bespoke platform that wasn’t up to the challenge. It was unwieldy, inflexible, and torturous to maintain. To achieve their vision, Osprey London needed a modern, responsive, and flexible solution to sell online. Having chosen to work with Vaimo, the Magento Global Elite Partner, Osprey London decided on Magento Commerce. Together they formulated a plan: the brand would launch their new Magento site ahead of dropping their latest catalog program to drive more traffic to the site, deliver an innovative digital experience, and turn more catalog readers into online shoppers. We had been looking longingly at Magento Commerce for two years. There were several issues that made Magento Commerce the right choice for us – but Open Source and Cloud were top of the list. Relax, it's on Magento Commerce Cloud. Sell online with ease. 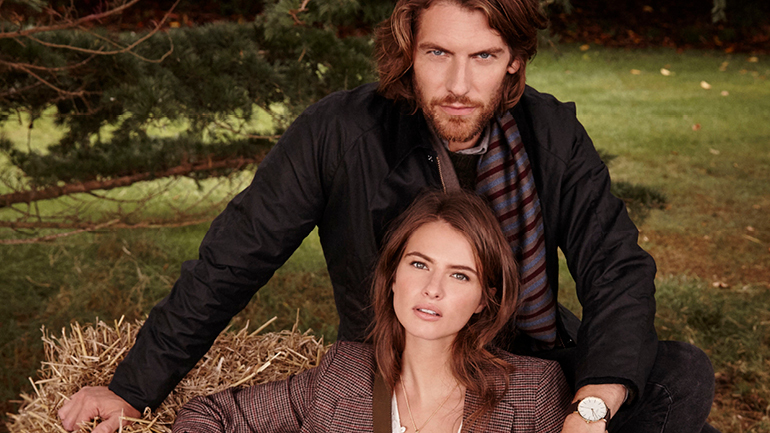 Osprey London planned their launch date to coincide with the company’s largest ever catalog drop. The latest book would feature their iconic belts, handbags, scarves, and new accessories, and push readers to their brand new webstore. Meeting the launch date was critical: the largest catalog campaign in the company’s history was depending on it. Vaimo started work, building the site on Magento Commerce Cloud. With a cloud-based platform, the Osprey London team knew they could focus their attention on their business rather than on server performance and capacity. However, just two weeks before launch, the project hit a roadblock when it came to payment processing. Their payments’ vendor identified technical problems that could delay the launch. The team reached out to Braintree. The PayPal company helps businesses accept and process payments across all devices, using almost any payment method. The Braintree solution was integrated in just ten days, providing the security and scalability the brand needed, saving the day. “Today with Braintree, we have a good level of control and visibility, whether that’s adjusting the fraud rules to suit our changing requirements or helping a customer complete a transaction. Overall it’s a service that we know we can rely on,” says Jones. Handbags are flying off the virtual shelves. On April 12, 2017, the new Osprey London site was launched on schedule, just as the brand dropped their latest catalog. The integrated digital marketing push drove massive traffic to the new site. With Osprey London on the cloud, the team had no concerns about the stability of the platform. The site was solid, performance never lagged, and straight away, handbags began flying off the virtual shelves. Their first day’s sales were just the start. The net result of moving to Magento Commerce was a solid basis on which to add additional digital marketing activity, and Osprey London has enjoyed an increase in online revenue of 300 percent year-over-year. This beat the brand’s aggressive target of doubling their online business. Behind the scenes, the team was thrilled with the ease of use of Magento Commerce, and the flexibility of the ecommerce platform, which allowed them to sell online in new ways. Merchandising is “so much easier,” says Jones, and the team particularly loves the drag-and-drop functionality. Re-merchandising products multiple times each day is a significant business driver, and online sales and promotions are now fast to implement. Meanwhile, the brand’s customer support operation also uses the Magento Commerce back office, helping staff manage customer orders and inventory management. With access to customer records, the support team can resolve issues faster and improve the sales experience. For Graeme Ellisdon, the secret of his success, he believes, is his ability to adapt and compromise: “In all things you need to be prepared to compromise,” he told the Times, “You need to be willing to change and adapt along the way and not be too fixed in how you achieve things." And with Magento Commerce, Osprey London is ready for anything. With Magento Commerce, merchandising is so much easier.